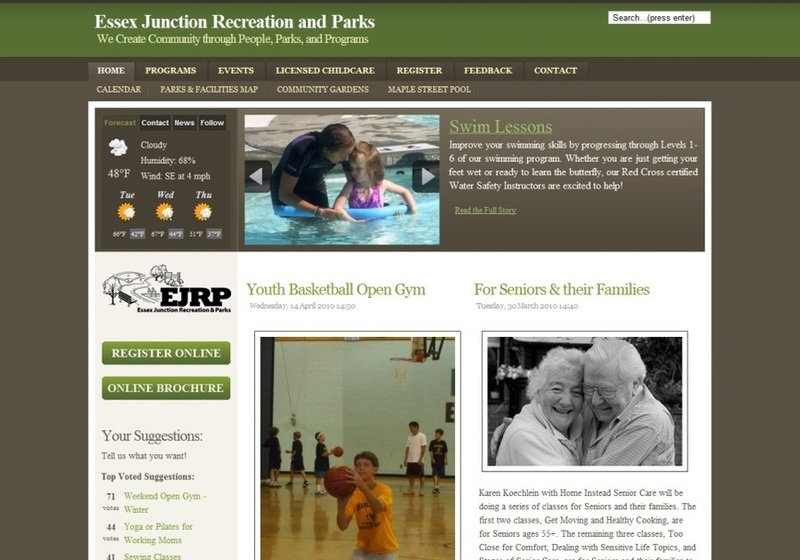 RecWebsites.com was started by a second-generation park & recreation professional who enjoys helping recreation organizations improve their marketing and operations through technology. We have an inside knowledge of the needs and features that recreation departs want. Our website package provides you with state-of-the-art tools at a price that is easy on your budget. We do this by utilizing the best open source tools available and developing your site from a well-tested framework (rather than starting from scratch). Our websites are easy to maintain by anyone on your staff. Editing website content is just as easy as editing a Word document! Multiple staff accounts can be created, each with different access levels and permissions. Keeping your site current with updated news, photos, and videos doesn't get any easier. We create easy-to-update, feature-rich websites designed specifically for recreation organizations. Our websites include interactive maps, media-rich brochures, user feedback components, RSS and email subscriptions, social media integration, and more.